As was discussed in a recent article, Adobe’s Flash platform is being phased out. A report showed many Flash ads aren’t displayed on mobile devices and Firefox also made changes that limit automatic Flash functionality. The writing is on the wall (in this case, the Google+ page for Webmasters) for Flash. Google has announced that starting in September, Google Chrome browsers will automatically stop Flash ads from running. Much of the ire directed at Flash over the past few months has been based on security. The ubiquity and versatility of Flash made it an easy target for hackers who try to sneak malware and viruses onto computers using Flash content like ads. Google has made the focus of their change the speed and resource allocation issues Flash ads create. They argue that Flash requires too much power to run, thus draining batteries on mobile devices and slowing down page load times in general. As research from earlier in the year indicated, marketers lose out on billions of dollars worth potential ads because they are showing Flash ads to mobile devices that don’t run the platform. Google has offered several services to advertisers make the switch from Flash to a the more mobile-friendly platform, HTML5. The easiest solution is to allow AdWords to automatically convert Flash ads to HTML5. This conversion tool was rolled out a few months ago, but now the majority of Flash campaigns qualify for automatic conversion. Better still, this applies to new ad campaigns, so if an advertiser has content that was made in Flash, they can upload it and AdWords will handle the conversion. Advertisers can go to https://developers.google.com/swiffy to see if their ads are eligible. Google also has several free tools to allow users to create HTML5 ads directly in AdWords. The AdWords Ad gallery has a feature that lets people create a Lightbox ad from existing HTML5 templates. The Google Web Designer is a free, professional-grade HTML5 authoring tool provided by Google for building ads for uploading to a Google Display Network campaigns. And in the DoubleClick Studio, users can browse a variety of HTML5 templates and build ads with Google’s richmediagallery.com template database. Ironically, for all their talk about HTML5, there currently isn’t a way to upload HTML5 made externally to Google AdWords. 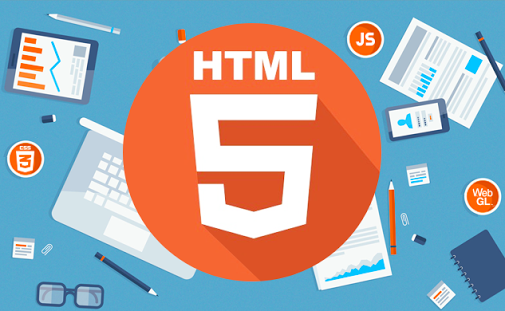 Google is working on that and they say an upload feature for HTML5 will be available soon. So people who already have software that export to HTML5 will still need to use Flash first before they upload to Google AdWords. The tools mentioned above use templates or build the ads within the ad network itself. The time has come for advertisers and content publishers to remove Flash elements from their sites and ads since they will soon no longer work on Google Chrome by default. This can mean a lot of lost opportunities for publishers who don’t make the switch. And with Google bending over backwards to make it easier for advertisers to make the switch, there’s no reason not to. 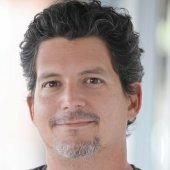 For more news about recent Google changes, read this article about Google penalizing mobile sites with large app install ads.